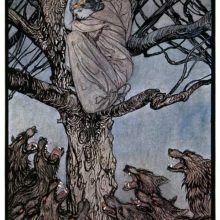 Pinocchio ate least of all. 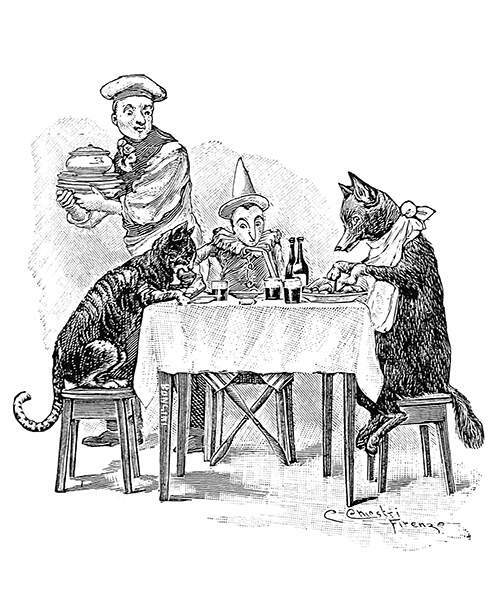 The Cat, Pinocchio, and the Fox are sitting around a table, having a meal which Pinocchio doesn’t seem to enjoy much as the restaurant owner carries away dishes in the background. 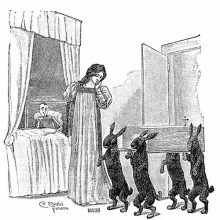 The caption reads in the original Italian: Quello che mangiò meno di tutti fu Pinocchio.